There are only 28 DAYS UNTIL CHRISTMAS!!! 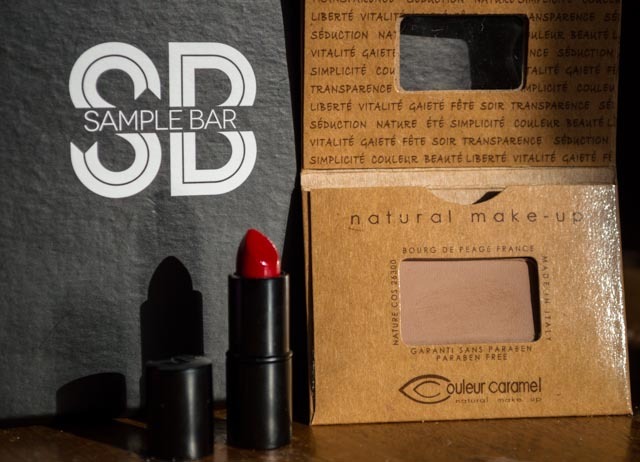 So this month’s Sample Bar Glam Pack was focused on the transition from Spring in to Summer and some versatile products that may be useful in this time. I liked the cleanser I received last month so was happy to receive a sample of the rosehip oil from the same brand. This is certified organic and is a gem for reducing wrinkles and uneven skin tone. At the moment I have been loving my Trilogy rosehip oil but this will make a handy handbag spare. It doesn’t have too strong of a scent and sinks into the skin relatively quickly however my favourite thing about this rosehip oil is the affordable price. These can be picked up full size (20mL) from the supermarket for a pretty reasonable $22.99. Most likely the product I was most excited by at first glance was this cheek and lip tint by Model Co. I love the idea of tints but haven’t tried any out. This one is a berry pink colour and blends out on the cheeks relatively easy. I didn’t have much success using this on the lips and in future see it more as a quick and easy blush however I love the idea of a multipurpose product. This was a half size of their 10mL product which retails for $24.00. This rather expensive creme ($109.70 for 60mL) is supposed to be great for sensitive skin so I was happy to receive a small sample pot to try out. Apparently its high price tag is due to the level of vitamins ACE but I don’t think I would rush out to buy it. Interested to see if it is any better than my Dream Cream by Lush which I am loving. Another product suitable for sensitive skin which was great to see. Also good to see a relatively large 20mL sample (those tiny sachets drive me insane). This cleanser is soap free and has a neutral pH to thoroughly cleanse whilst also calming and avoiding irritation. Free of fragrance, perfume and parabens. Definitely happy to try this out and see how well it works. Full size (200mL) is $43.70. Another product I was excited to see was this hair spray. For someone who avoids all hair care this was a rare moment but I like the idea of this natural spray, with lime and essential oils (and of course salt!) to add texture to curls and create beachy waves. The scent is pleasant and its another good size sample so I was pretty happy all round. Full size of 250mL comes with a pretty reasonable $22.45 price tag and can be bought online. The sixth and bonus product was three sachets of sunscreen. I hate sachets but at least these kind of make sense and are easy to pop into your wallet for those times we forget sunblock. This sunscreen in SPF 50 and is supposed to be light and non-greasy which is always good to hear. It also lasts 8 hours which means one application should last you most of the day. This swiss sunscreen goes for $34.99 (150mL). Overall I thought the products in the box were all well chosen and none of them were ones I wouldn’t be able to or willing to use. 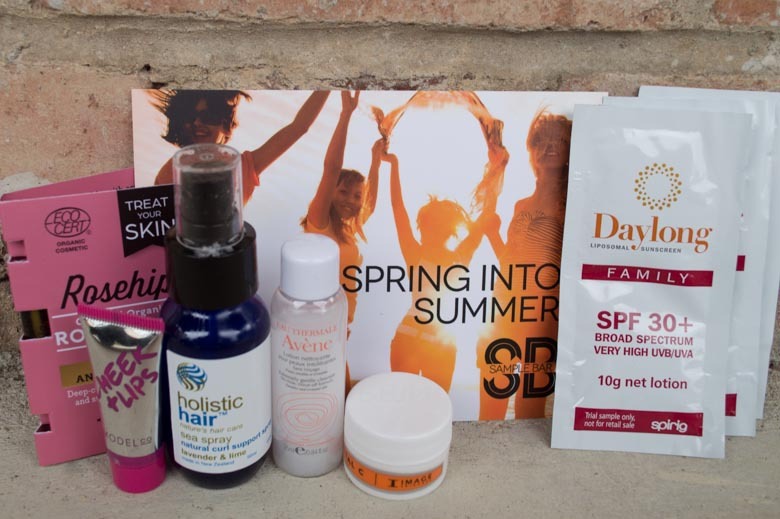 With a lot of sensitive skin care and a couple of season specific products I am excited to try most of these out. My one main negative is that I wish there had been a full size product however the decent sample sizes weren’t as small as usual. Not my favourite box, but not a bad box either. Excited to see what Christmas brings! What did you think this month? 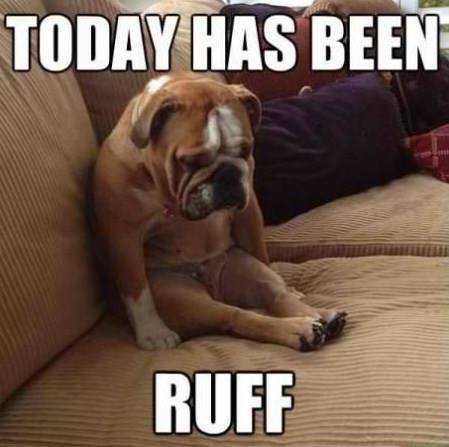 So on this Thursday after a day off work due to relentless migraines/headaches I feel a little like the guy below but don’t look quite so cute. The beginning of this week was less grim with the Auckland book launch for Laura’s amazing cookbook. Meeting her was awesome and spending the subsequent evenings pouring over her cookbook was great. If you haven’t checked out her blog or her cookbook, hungry and frozen, then do! Today I also bring you my October glam pack from Sample Bar and the goodies inside. This month’s box came a week or so ago so I am a little delayed but better late then never. This month’s box was actually pretty great and well worth the $25. 1. Rosehip Gentle Foaming Cleanser by Essano. I received two 30mL bottles of this soap-free cleanser which contains rosehip oil and other nice and natural ingredients to both cleanse and moisturize the skin without drying it out. I have high hopes for this and am thinking that due to the oils and the natural ingredients it won’t irritate my sensitive skin but I will have to just wait and see. The smell is strange and sweet but not in an unpleasant way, just not what I expected. A full size 140mL will cost you a pretty reasonable $14.99 and can be found at supermarkets which is pretty handy. 2. Dots Laundry Powder. So before we get annoyed that they sent us a washing powder in a beauty sample pack this was a bonus product, so not a part of the 5 proper makeup/beauty samples. Am I super excited by this….no, but it might come in handy.The price for the normal packs range from $6.99-$13.99 at supermarkets. 3, Youngblood Vixen mini lipstick. I love the idea of mini lipsticks so to get a beautiful red one that I can keep in my purse if I decide to pop on a red lip half way through the day of after work before going out is great! This is a blend of natural oils and vitamins which sounds good and is a beautiful true red that is sort of matte. A great product for a sample box in my opinion. These retail for $43.50 for a full size which is pretty expensive for my little wallet. 4. Matte Eyeshadow by Couleur Caramel. Another awesome product this month was this matte eyeshadow that is a beautiful light natural brown colour that would make a great base shadow. Doesn’t seem super pigmented but is buttery and the colour is one I know I will use often. I don’t know how much these eyeshadows retail for but their range of products ranges from $20-$50 approx. I would love to see what some of their other vegan, cruelty free products are like. All of their makeup is also chemical free (not sure how that works) and fair trade. The recyclable packaging is great too! 5. Angel Orange Flower Shampoo and Hairmask. I have never heard of this hair brand (but that isn’t saying much, hair care is not my strength) but am looking forward to trying out these two products. Only downside is that they are for coloured hair so I may have to wait until I have a colour to try and lock in. I hope they smell good… These are $39 each. 6. Pure Fiji Hydrating Guava Body Lotion. Last up we received a small sample of a body lotion from Pure Fiji which is a brand I adore. The best thing about this is the amazing scent which I love about any of these Fijian products. The guava and coconut are a beautiful combination and this will be great as a moisturizer to keep in my handbag for any dryness. The full size moisturizer is $350mL and will cost you $49 which could potentially be worth it just because it smells divine. Yum. So all up one of my favourite boxes and what I wish every month was more like. A great range of different products and most of them well suited for me. Hope you guys are having a great week! I shall leave you with a photo of Callie who was pretty interested in what we were doing and wanted to do some modelling of her own. 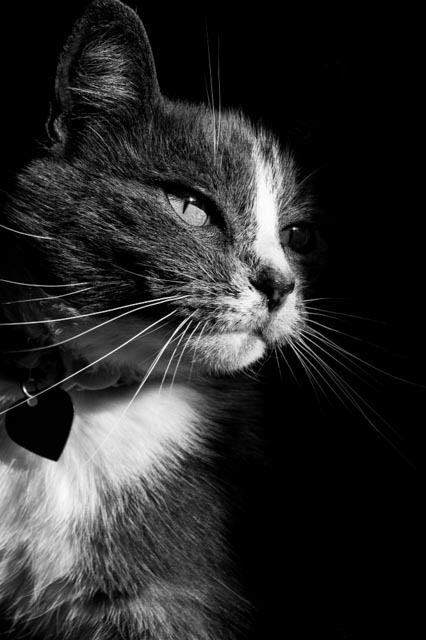 Such a beautiful girl and who doesn’t love a little chiaroscuro.